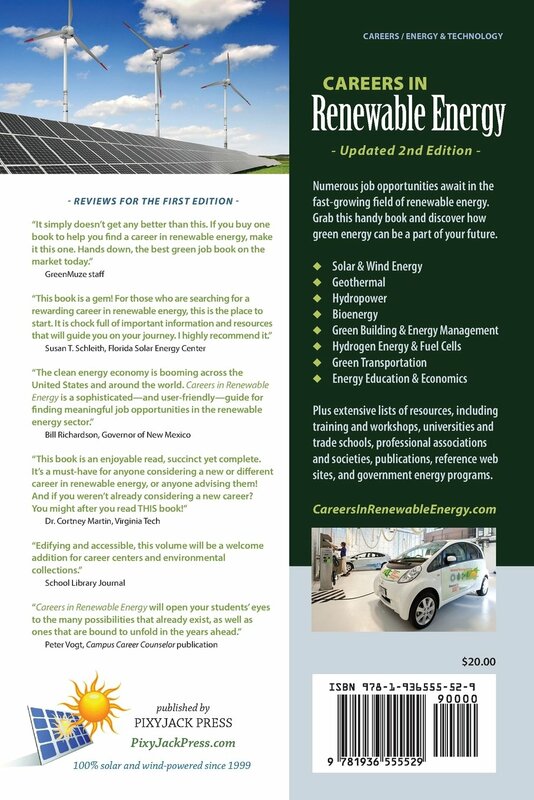 Are Careers in Renewable Energy, Great Careers? There are good jobs and there are great jobs. If you believe that careers in Renewable Energy would be fantastic careers then we think alike! A job in renewable energy is not just a job but truely a commitment to the future for everyone. Careers in renewable energy are also typically fairly high paying jobs with a high level of satisfaction to a person that cares about the future. Solar photovoltaic panels for residential, commercial and utility grid is a great area for a career in renewable energy. Numerous job opportunities await in the fast-growing field of renewable energy. 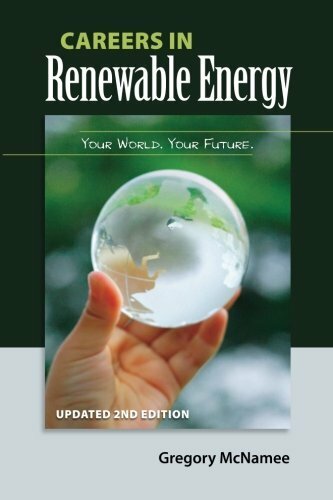 We found the best book on careers in renewable energy, so far to help you on your journey. Discover how clean energy can be a part of your future, whether you are new to the workforce or re-envisioning your career. Energy efficiency and clean transportation with electric drive systems is a really fast growing area that directly supports the move to clean energy. Wanted: Sales people,accountants, technicians, engineers and scientists that want to change the world with careers in renewable energy. Sales & Marketing and the Trades.